A Standard Room with a king-sized bed. the room was very clean, even if the Hotel itself is not really new anymore. The personel is very friendly and helps in every case - thank you very much for that! The room had a strange smell, I guess it Comes from the Minibar (the warm air from the Minibar smells terrible). the rest was ok, also the bed was very comfortable. I´ll stay there again - would be nice if you could eliminate the strange smell in the room(s). We got a nice impression at the check in desk in lobby, then ate Polish dinner in the hotel restaurant (food was excellent, but the service should be better) and the bed was comfortable because additional pillows arrived just on time. But the breakfast Saturday morning was the best experience during the whole stay. And one more thing: there are many potholes in the parking place. I stayed a couple of nights some years ago and since then hotel rooms have been refurbished, but the potholes are still the same or even worse. The hotel is about 10 minutes by taxi from either of the train stations and across the street from the park surrounding the monastery and church complex. The rooms are large and comfortable, especially the premium ones. The restaurant serves good quality food at very reasonable prices. Breakfast choice is great, both hot and cold, with polish specialty meats locally sourced. Staff polite and helpful. Restaurant food and staff were great. Room was a bit old and needs updating. The showers in both bathrooms were poor. Beds not that comfortable. The reception was fast and polite. The room tidy and clean although a bit noisy (elevators and night parties). All guests were satisfied. Enjoy the stay with you very much. Room was nice enough and clean but the AC was not working properly. Was told from the receotion that it would be cooler in the evening after the sun went down but still only warm air was comming from the AC unit. Resulted in problems sleeping as opening the window would let in too much noise from the street. Hotel well overdue for room refurbishment and unbearably hot. Not up to standards Exemplary service in the restaurant for a late dinner. Excellent... very very good indeed. Room, and hotel generally very nice and clean. The staff very helpful and polite - Sonia (the restaurant manager) made us feel most welcome and the food was of a high standard. We have been numerous times over the years to Czestochowa Mercure and without exception always extremely satisfied. 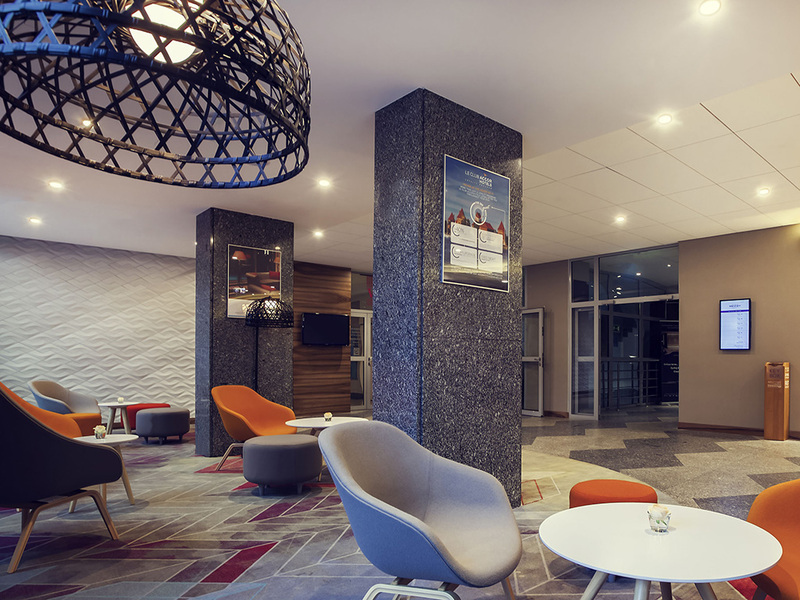 We loved the Hotel Mercure Czestochowa Centrum. A lovely night in the Hotel Mercure Czestochowa Centrum. The rooms are nicely decorated, however they are getting older. The value of the money is outstanding. The breakfast menu was enough for a great start of the day. hotel is very good enjoyable stay, the only problem was with the road noise.